The applicant has amended their development proposals. Details of the amended proposals are available here. The matter is due to return to the Land and Environment Court in May 2016. 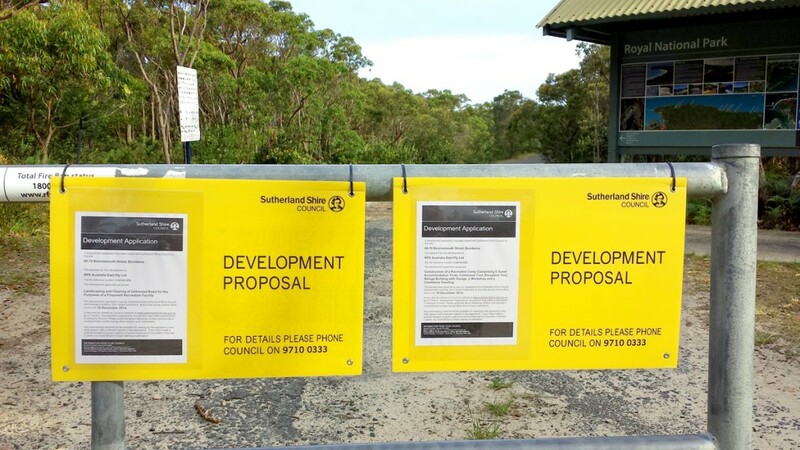 A development application has been lodged for a “recreation camp” on the former Scout land & Sussex St road reserve at Spring Gully, Bundeena. The development is being marketed under the name Bundeena Coast Eco-Lodge. – section 3.1 Statement of Environmental Effects from the development proposal. Destruction of Trees, Habitat & Biodiversity. UPDATE: Thousands of trees to be cleared inside the Royal National Park and on the former Scout land. Documents submitted to the Land and Environment Court, which were not publicly exhibited, reveal that many thousands of trees are to be cleared over 3.6 hectares of the scout land and along the new road through the Royal servicing the development. The analysis below is based on the documents publically exhibited in November 2014 which significantly under-represent the scale of clearing in the proposal before the court. 1,500 trees in and around the 0.75 hectare Inner Asset Protection Zone to be destroyed. Potentially the same number of trees again to be destroyed across the 0.75 hectare Outer Asset Protection Zone. 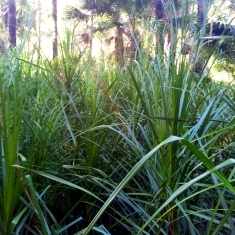 An additional 2.1Ha of land will be degraded by ongoing understory and groundcover removal. 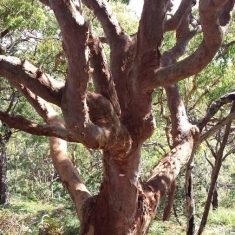 Over 1,500 trees are marked for removal in the tree removal plan submitted – mainly Bloodwoods, Angophoras, and Old Man Banksias. Trees in and nearby inner asset protection zone – before removal and pruning. Click to enlarge. Trees in and nearby inner asset protection zone – after tree removal and pruning. Click to enlarge. These diagrams substantially misrepresent the amount of existing tree canopy to be removed. 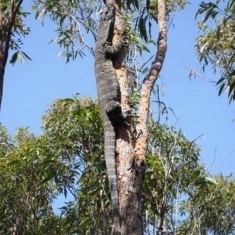 Detailed data has only been provided for the largest 237 trees to be removed or pruned, including 34 large, mature, potentially hollow bearing, angophoras (important fauna habitat) that will be pruned to leave only 31% of their current canopy. 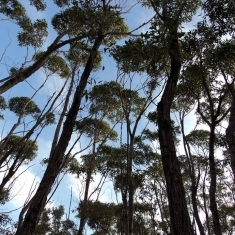 The amount of canopy to be removed from these 237 trees alone is 8,687 square metres. The other 1,300 odd trees to be removed appear on the drawing provided but without details of how much canopy loss they represent. 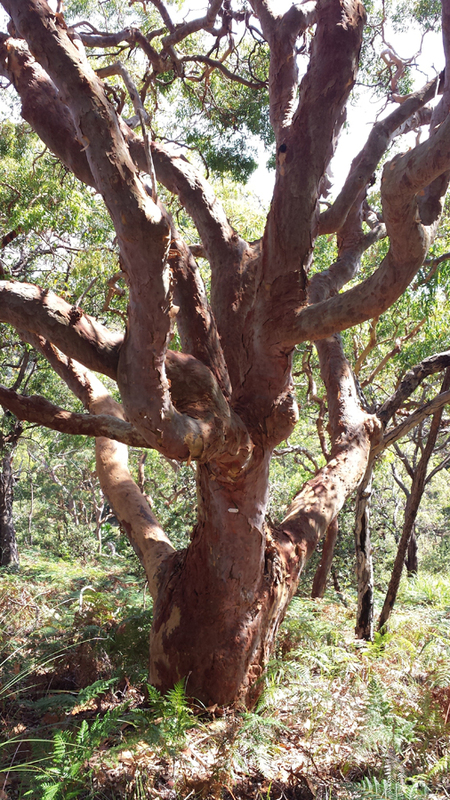 There are around 1,300 trees that are marked in brown without their canopies drawn in the before clearing diagram. 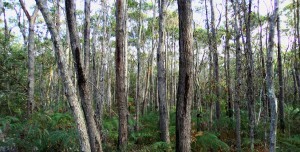 These trees are those that are smaller than 150mm diameter (note that trees greater than 100mm diameter are protected trees in Sutherland Shire). Click image to enlarge. All the trees less than 150mm diameter (about 1,300 trees) are gone from the after tree clearing drawing as well as 237 larger trees. You need to use your imagination to picture the true extent of canopy removal across this heavily timbered land, which these drawings do not show. Note that the gray numbers appear to be altitude (real level) recordings. Click image to enlarge. Many hundreds more trees, possibly another 1,500, will be destroyed in the Outer Asset Protection Zone. An accurate estimate cannot be provided because most of this area has been omitted from the tree removal plan provided (appendix 16). See diagram below for location of outer asset protection zone. 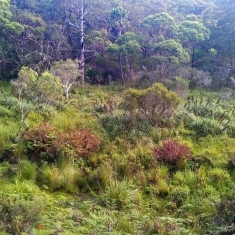 The entire Bloodwood woodland along the top, southern side of the gully will be decimated. 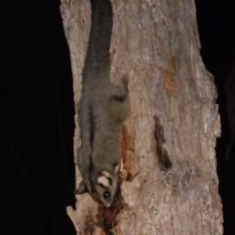 Every tree in this dense woodland bears scars from sugar glider feeding. The gliders chew through the soft bark to release the sap below. 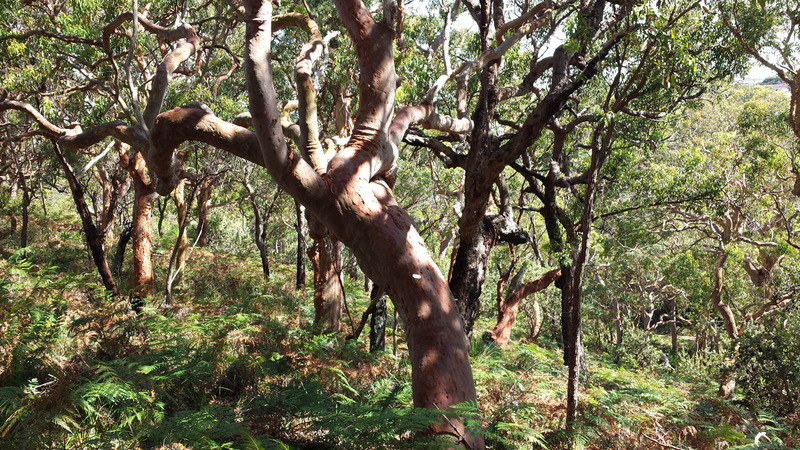 These unique stands of bloodwood growing in the deep sands at the base of the Jibbon Hill relic cliff dune have been cited as supporting the scientific justification for the world heritage listing of the Royal National Park. They demonstrate scleromorphic adaptation in response to the unique local geomorphology that developed in this area as the sea level began to rise some 10,000 years ago and the coast receded, pushing the relic cliff dunes, including Jibbon Hill, to their present location. The densely timbered woodland that runs across the entire southern end of the former Scout land and Sussex St. 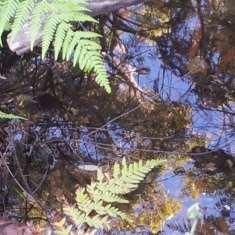 This woodland will be decimated by the proposed inner and outer asset protection zones. Click image to enlarge. 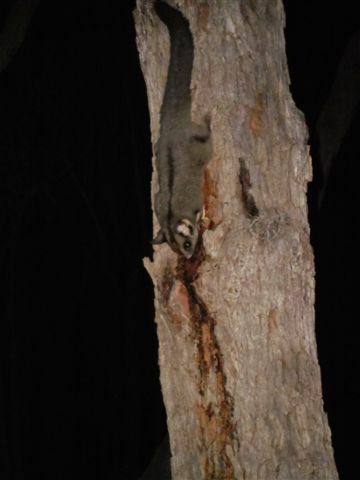 Sugar glider feeding on bloodwood. Click to enlarge. 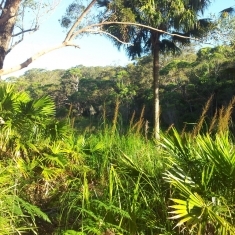 Most of the former Scout land’s vegetation will be heavily modified and environmentally degraded through the clearing of trees and undergrowth including land that slopes over 18 degrees in many places. This diagram is oriented so that North is left, South is right. Click image to enlarge. Only 15% tree canopy to remain and understory to be removed. Only 30% tree canopy to remain and understory to be removed. 21,000 sq m (2.1Ha) Strategic Fire Advantage Zone. Understory and ground level habitat removed. 23,500 sq m (2.3Ha) remaining under conservation. 3.62Ha to be degraded by development. 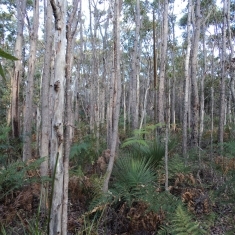 2.35Ha to remain under conservation. 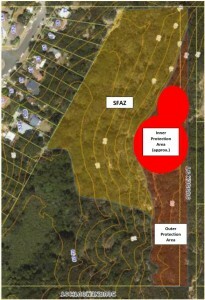 Note: The inner asset protection zone approximately drawn in the Bushfire consultant’s report (appendix 12, shown left) significantly misrepresents the northern extent of the zone into the gully. It conveniently omits much of the area that slopes over 18 degrees in contravention of the RFS standards for asset protection zones. Large parts of the proposed Asset Protection Zone are on land that slopes greater than 18 degrees. RFS regulations do not allow Asset Protection Zones on land that slopes greater than 18 degrees due soil erosion/land slippage and fire behaviour up steep slopes. Several proposed buildings are on land that slopes greater than 18 degrees. The soil within the development area is loose, fragile Quaternary sand soils. This land is listed on the State Vulnerable Land Map. The land cannot environmentally sustain the development standards for bushfire protection. 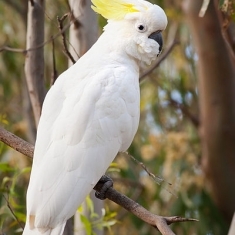 The proposed land clearing risks soil erosion by water and wind, land slippage, siltation and weed infestation of the freshwater wetland and the other endangered ecological communities found on the land and adjoining in the Royal National Park. The development will not be connected to the main power, water or sewer services. Grey water and effluent are proposed to be treated and discharged on site. The ecological impacts of this development will be significant and most likely be irreversible. Most of the trees in this photo will be cleared. Sorry tree number 273 (in foreground) your time is up. This photo shows just a tiny fraction of the proposed asset protection zones which stretch over 300m east-west and 82 metres north-south. Click to enlarge. 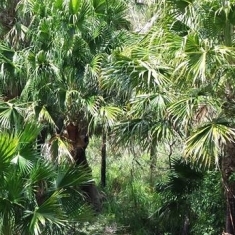 Vegetation clearing and construction of a four bedroom residence. Completion of three tourist tents and construction of communal kitchen/dining. Completion of remaining three tourist tents, upgrades to communal kitchen/dining. The vegetation clearing and residential dwelling will be completed first and the tourism accommodation will be completed at later stages (up to five years apart). The development will be visible from across the south-east residential area of Bundeena, and by walkers along the opening stretch of the Royal National Park coast track. Bundeena currently provides 300 camping spots at Bonnie Vale and another 240 beds in a range of private bed and breakfast and holiday rental premises. 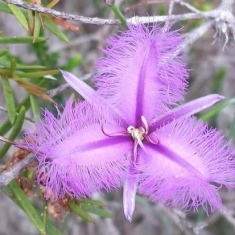 Destruction of a large area of natural, bio-diverse, bushland, wildlife corridor and habitat within the riparian zone will degrade the greatest attraction of Bundeena for residents and visitors alike – our beautiful and tranquil natural bushland surroundings. The development provides no off-street parking. Guests will park at the end of Beachcomber Ave which is also the collection point for garbage. The facility will not cater to school groups, the elderly, disabled people, those with medical conditions such as impaired hearing or sight, anxiety or fear. The economic benefits of the development, when weighed against the environmental and social costs, cannot be justified. 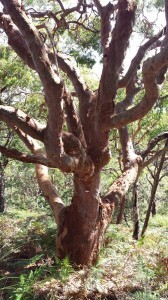 This magnificent old angophora is one of dozens that will be severely lopped. It is to lose 75% of its canopy. Click to enlarge. 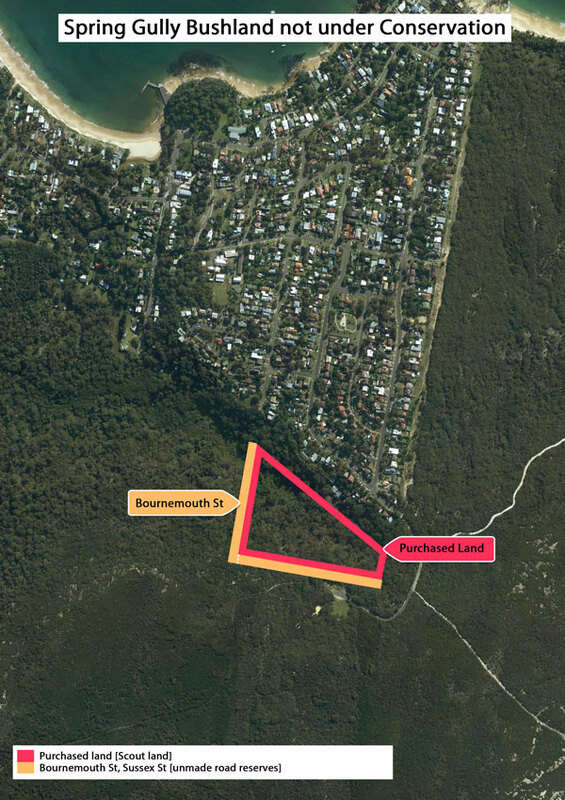 A separate DA has been lodged for the clearing of the Sussex St unmade road reserve bushland adjoining the southern boundary of the Scout land. 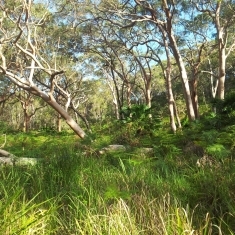 This land was reserved for public road in the 1886 subdivision of Bundeena. 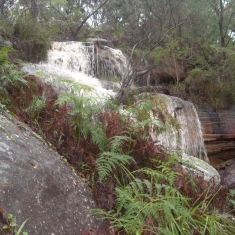 Most of Spring Gully was added to the Royal National Park in 1979, making this unmade “paper road” an obsolete relic. This ecologically valuable land should remain public land and should be added into the park along with all of Council’s adjoining 8.5Ha of land. 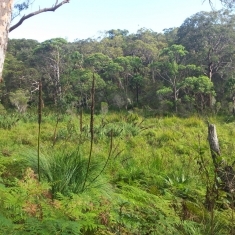 The Minister for the Environment has written to Council stating that the National Parks and Wildlife Service wish to see this land added to the Royal National Park. Council held a public consultation in 2013 into the Scout land owner’s request to purchase the Sussex St road reserve land. It received 290 public submissions against the sale and development of the land and none in favour. 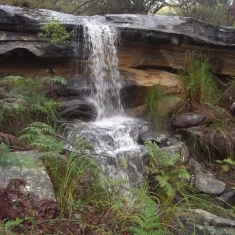 All submissions argued the land should be in the Royal National Park. The owner of the Scout land does not have recognised title to the Sussex St land. 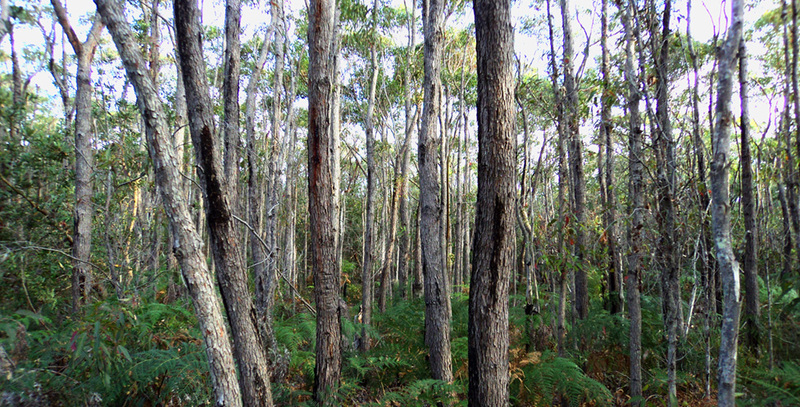 The DA submitted seeking to clear this land and its bloodwood woodland should be dismissed. The DA has been lodged under the current zoning of LEP 2006, Zone 12 Special Uses, “Recreation Camp”. The objectives of the Special Uses zone are to provide for a range of community facilities and services to meet the needs of the community. Other examples of Special Uses zoned land in Bundeena include the school, our churches and community hall. The proposed “Recreation Camp” development does not benefit the local community. In November, Sutherland Shire Council submitted its draft LEP to the Minister for Planning. The draft LEP zones the former Scout land E2 Environmental Conservation and allows “Eco-tourism facilities” with consent. It removes “Recreation Camp” as a permissible use because the scope of uses allowed (including facilities for conferences, events, training and functions) was considered inappropriate for the site. The Office of Environment and Heritage object to the land being developed due to its biodiversity and the environmental constraints and sensitivity of the site. They have asked that “eco-tourism facility” be removed as a permissible use for the land. Around 300 public submissions to the last exhibition of the LEP opposed development. 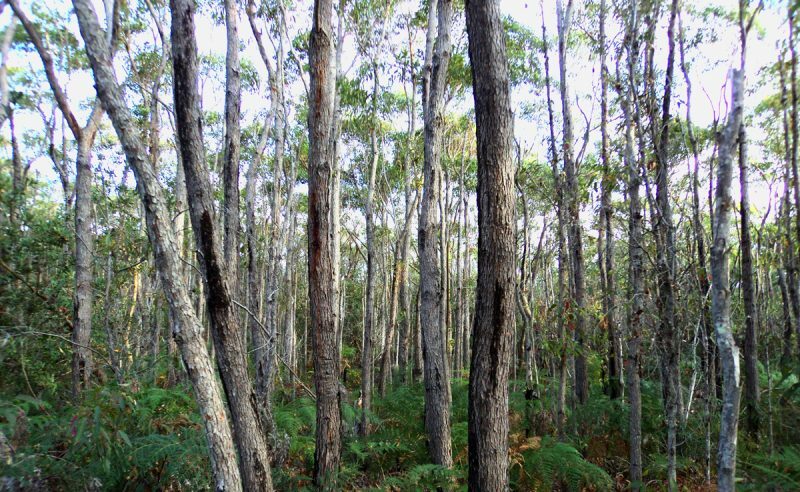 The RFS made a submission advising that it should not be assumed that the former Scout land can be developed even for eco-tourism due to the considerable environmental constraints that hinder compliance with bushfire safety standards. 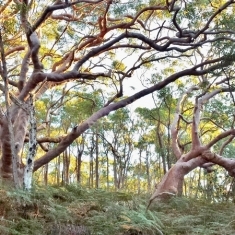 Council has referred these unresolved issues to the Minister for Planning with a report stating the most appropriate outcome is for the land to be part of the Royal National Park. Council has also resolved to ask the state government to purchase the land for addition to the Park. 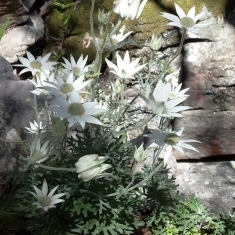 To protect, manage and restore areas of high ecological, scientific, cultural or aesthetic values. To prevent development that could destroy, damage or otherwise have an adverse effect on those values. To ensure that development, by way of its type, design and location, complements and enhances the natural environment in environmentally sensitive areas. to provide for sensitively designed and managed eco-tourist facilities that have minimal impact on the environment both on and off-site. Use our web form to submit your objection directly to Sutherland Shire Council. It takes just one minute! You must object to both DAs, in writing, including your name, address and phone or email. DA14/1238 Is for development of a “Recreation Camp” on the former Scout land property. 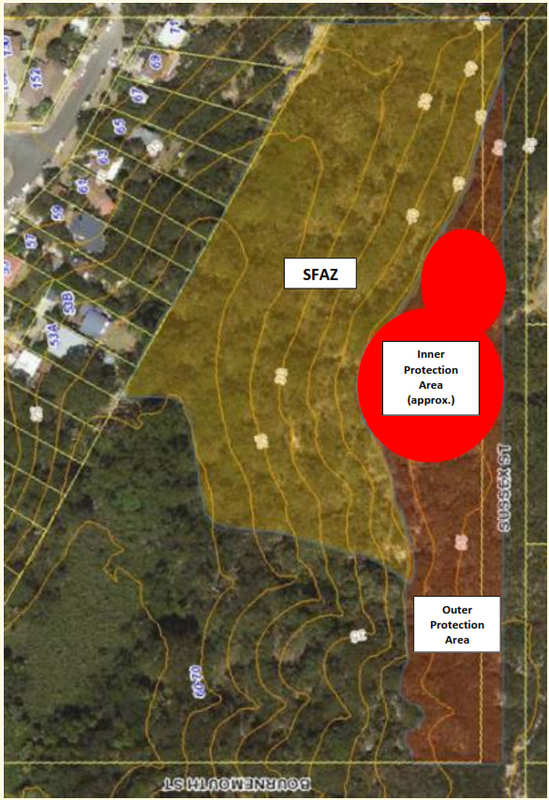 DA14/1239 Is for the clearing of the Sussex St unmade road reserve bushland that runs along the southern boundary of the former Scout land for an Asset Protection Zone for the recreation camp. Your submission will be publicly available information. You should provide clear statements of what your objections are. You can download and use our sample letters 141238 and 141239. Request that community consultations be held into the development proposals. 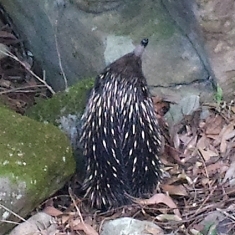 Join our email list at our website springgully.org for detailed updates. 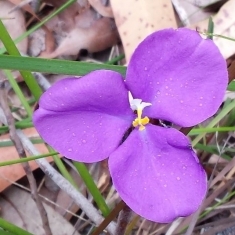 Join our facebook page “Spring Gully Protection Group” to receive brief updates. See the enclosed flyer for more information. Submit your objection using our web form. It takes just one minute! Images and drawings have been reproduced here for the purpose of private study, research, criticism and review in accordance with the Copyright Act. 3 Pings/Trackbacks for "Development Proposal involves massive tree clearing for “Eco-Tourism” Recreation Camp"